For those who have missed the beginning posts, we pick up our weekly groceries on Saturdays, from a service called Friends & Farms. Items for this week – 2 salmon steaks, 1lb of hamburger meat, a block of sharp cheddar (and was it sharp! 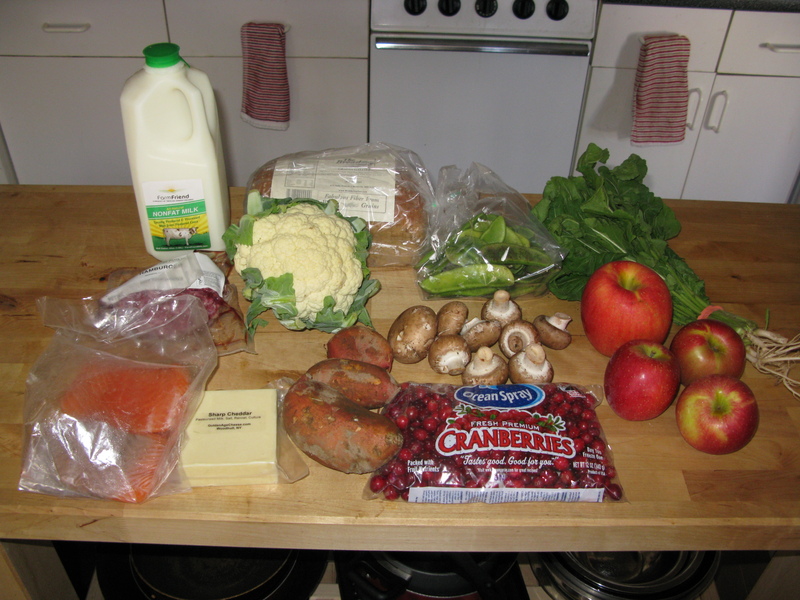 ), one head of cauliflower, sweet potatoes, mushrooms, cranberries, apples, arugula, butter beans, milk and bread.